This week, I am starting to prep for Father’s Day! I have new mugs in the shop perfect for dads and will arrive in time if you still need a giftt. 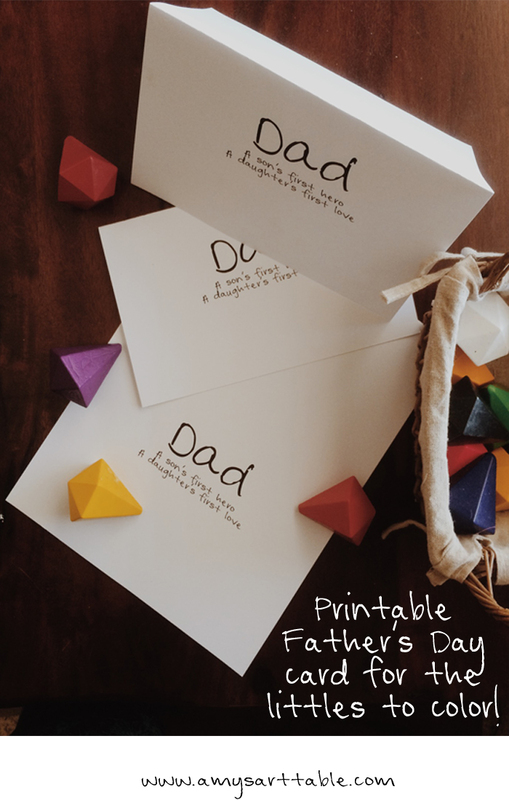 (check out the bottom of this post for a special father’s day coupon) I am also sharing this cute and easy father’s day card with all of you to download, print and decorate in time for father’s day! My kids always love card-making and can often spend a long time cutting, glueing and designing their own cards. 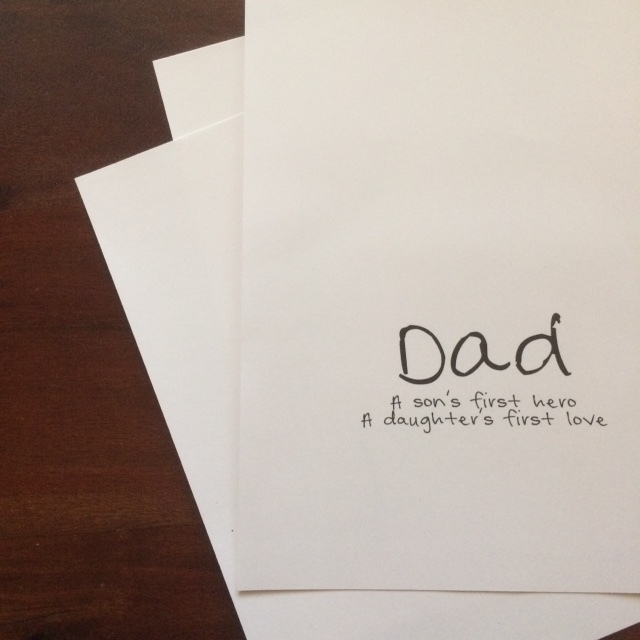 You can download the printable father’s day card here. All you have to do is print and fold it. If you want a smaller father’s day card you can trim it down. What’s great about this project is kids love to color simple projects so you can make this as intricate a project as you feel up for. Another thought on this project would be to fold the card the other direction so the writing was on the inside and the card was blank on the outside. 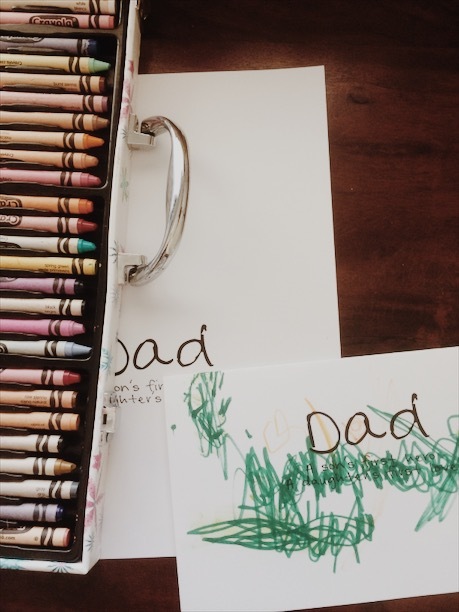 The kids could then draw a picture of themselves with their dad or a portrait of dad on the outside of the card. 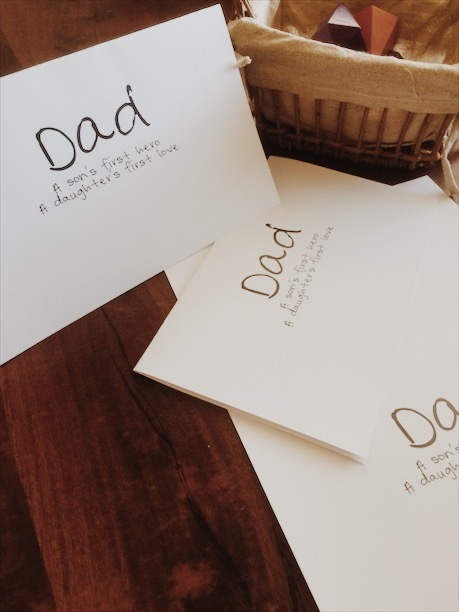 I would love to see some of the finished father’s day cards you come up with! Take a pic and tag @amysarttable on instagram!! 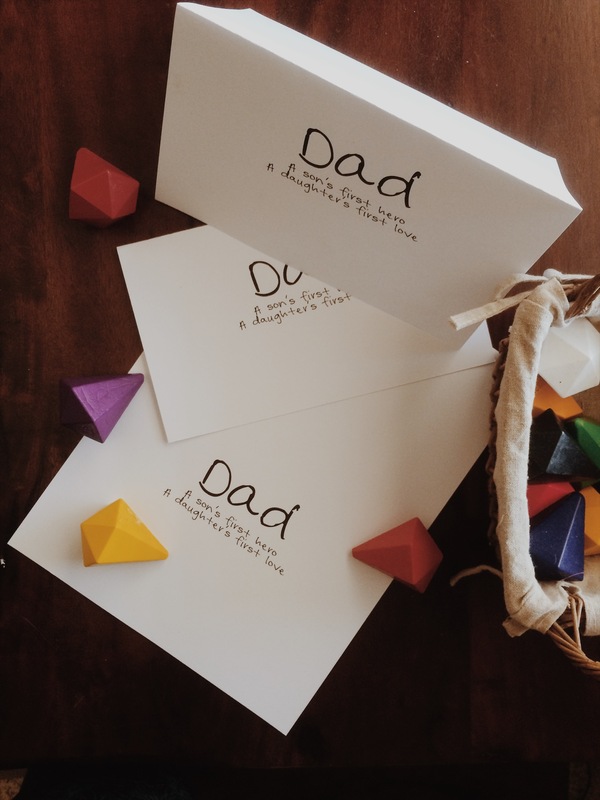 Download your printable father’s day card here. As promised, use this coupon DAD20, for 20% off a mug for dad in the etsy shop! And check back this Summer for plenty of art lessons and DIY projects you can enjoy with your family. Also, if anyone wants the “son” only or “daughter” only quote, feel free to email me or leave a comment and I can help you with this!